Tennessee Valley Authority | Just Shooting Memories! 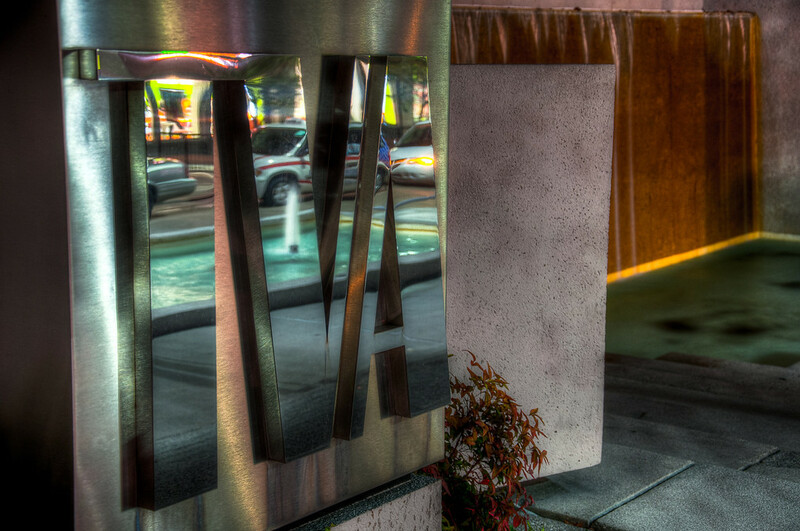 On the North end of Market Square in Knoxville, Tennessee, sits one location of the Tennessee Valley Authority. In front of that building is a waterfall and this large silver statue that is really reflective. I tried several different angles and really like this one with the water fountain reflecting in the statue.